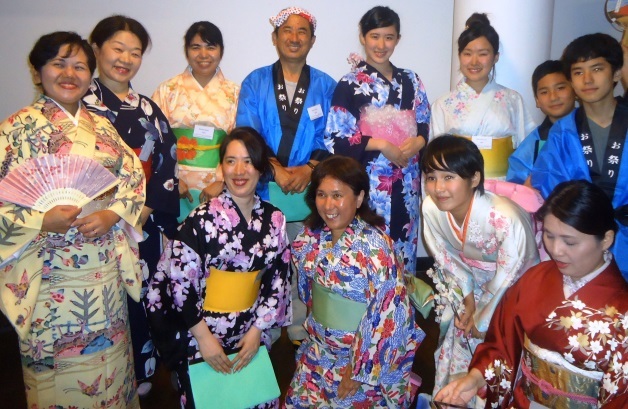 ​As a leadup to World Day of Prayer when we are asked to give our offertory to the World Project Jeanne has sent a short update on the second session of classes in the English for Employment Opportunities Project. American College of Higher Education on behalf of GFS Sri Lanka. The new classes are being held in Batticaloa, some 7 hours overnight in a bus. Jeanne and some of her executive had two days in this area to begin the sessions. The girls in this area are Tamil speakers. They are much more disadvantaged than in the first classes, communication is difficult, some have phones but none have email. But the fact that they have been been chosen to participate in the program will be such a huge advantage to each of the participants and we anticipate will make a great difference in their lives. There is a photo attached. Breaking News! The GFS World Project is now in Batticaloa!! A historic moment in the life of our GFS : The commencement of the second batch - "English for Employment Prospects" - on Sep. 15 in the Eastern Province, in collaboration with the American College of Higher Education, Sri Lanka. Here, Rev. 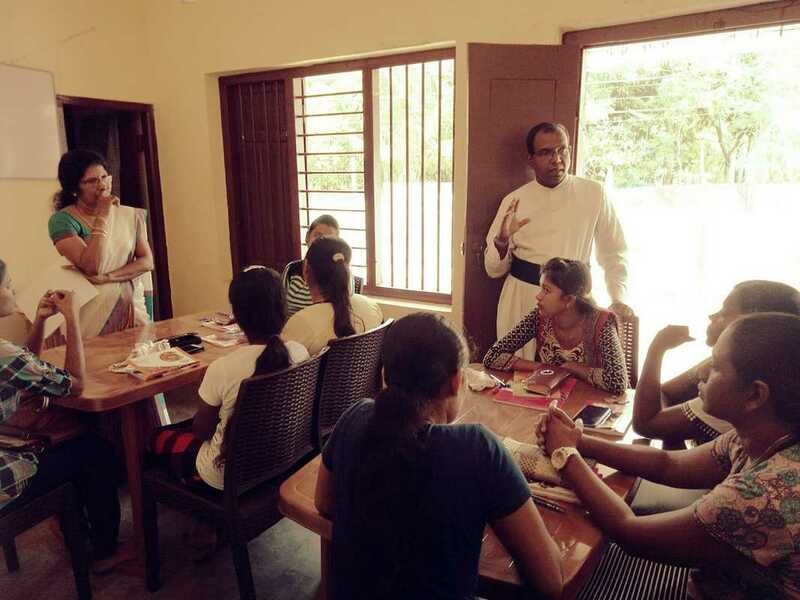 Gnanakaruniyan, Area Dean - Eastern Province, Diocese of Colombo, Anglican Church (Sri Lanka) speaks to the students after praying for the class. The lecturer is on the left. Following the Batticaloa sessions, the next sessions will be held in Kandy which is a Sinhala speaking area. I congratulate Jeanne and her team on the very professional way in which they are conducting the project. I encourage countries to consider further gifts to the project and to ensure that the offertory from the World Day of Prayer is committed to the project. Small monetary gifts can be put aside to bring to the next Council. Thembeka is happy for gifts to be sent direct to Sri Lanka to save double transfer and currency exchange costs. (An email should then be sent to Thembeka and the World Treasurer gfsworldtreasurer2020@gmail.com ( to advise of the transfer) Please check with Jeanne jeannesrilanka@yahoo.co.uk if you want banking details. I wish everyone a great day of celebration on St Michael and All Angels Day. * In addition, to give them access to information and enhance their self-esteem and social standing. Sri Lanka has a literacy rate of 92.6 %, the highest in South Asia, but its English proficiency rate ranks very low at only 46.58%. However, today English is considered the most important skill requirement for career prospects and employment. This project addresses this shortfall, with particular emphasis on less privileged women who can be extricated from traditional roles only through education, specifically with opportunities to learn English. This falls in line with one of the Objectives laid out in the Constitution of GFS Sri Lanka : "To advance education, culture and any other charitable purpose for the benefit of women and girls". This is linked to GFS Sri Lanka's 60 year old Hostel which provides safe accommodation to girls coming in to the city for the first time for new employment. Efforts are being made to expand the Hostel due to the demand for such facilities. Applications will be called and selected applicants will sit for a placement test. The Institution providing the English training will conduct a Course to suit the English knowledge level of the selected students. On completion of the Course, they will be awarded certificates. Incentives and financial support will be available for students. ie. travelling, accommodation, meals etc., if required. Training and workshops on personality development, good grooming, social ethics etc. to complete the "total look" will be organized for the students while they follow the Course. GFS Sri Lanka will try to identify employers seeking staff and enroll students to work as interns while following the Course. Details of students who successfully complete the Course will be posted on the web and this information made available to those who are in need of such services. We have made steady progress with the implementation of the World Project. Our biggest challenge was to meet the Bishop of Colombo and obtain a message commending the Project so that it would be readily accepted by the clergy and community of the Anglican Church. Representatives of the GFS were fortunate enough to get an appointment in the Bishop's busy schedule and visited him, sought his blessings on the project and requested a message of endorsement of the project. The message so received was incorporated into our World Project promotional brochure. Job descriptions and contract documents for the project staff were drawn up, posts advertised, applicants interviewed and suitable qualified personnel recruited to the staff of the GFS to coordinate and implement the World Project. After comprehensive research and review, several English language course providers were identified and interviewed to ascertain that they met our strict selection criteria. Our search was narrowed down to one institute as they met all our requirements. A draft MOU with this institute is in the process of being finalized by our lawyer. Promotional material such as brochures, hand bills, posters, application forms etc were designed and printed to promote this project and identify potential beneficiaries. Promotional packs were distributed island wide to churches, deaneries, youth assemblies, Mothers Union branches, Board of Women's Work, Board of Education, Sisters of St. Margaret, theological colleges, schools etc within the Diocese of Colombo and the Diocese of Kurunegala which compose the Anglican Church of Sri Lanka. Traditional and digital communication methods were used. We have received positive responses. Project Planning documents and Activity Schedules for the period of the Project were prepared. A separate bank account was opened for the World Project. The first payment of Rs.284,652.02 (Aust $ 2,504.70) was received. A separate accounting system was introduced for the Project. Project vouchers, receipts etc were designed and printed. A petty cash box for project funds and a filing cabinet for Project documents were purchased. An advisory Committee was set up. Visiting churches, conducting special programmes in churches for girls such as good grooming, table etiquette and careers, inviting clergy and girls of several parishes for GFS events, strengthening and building ties with ladies of parishes by attending and speaking at All-Island Mothers' Union event and inviting them to GFS functions etc. The Pilot Project will begin upon completion of the preliminary work. 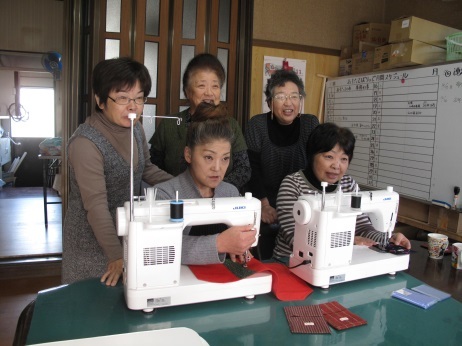 Providing financial assistance to continue the Japanese GFS Outreach Project to the survivors of the great East Japan tsunami disaster. ​Mombasa Scheme - exchange of students. PROJECT LENGTH: 2011 - 2014To equip women and girls with the skills necessary to carry out activities in leadership for community and church development. To raise awareness on the impact of social issues affecting families and communities. To enable women, girls and youth to participate in community affairs and development especially in decision making processes. To equip and empower young women with knowledge and skills to be able to support the GFS programs in the communities and churches. Supporting the growth of GFS in SI with particular roles for GFS Australian leaders to play in providing training and advice. This project is not completed and money raised is held in trust in Australia. Supporting Women Refugees from North Korea. Writing a three year Sunday School program based on the PNG lectionary and training Sunday School teachers in the use of the program. ​Supporting the skilling of girls and women with purchasing of sewing machines and sewing requirements and introducing a chicken rearing project. Supporting the growth of GFS in Kenya. Building a Training Centre and providing training (from GFS Australia) for three years to build up leadership. ​Building a Training Centre for GFS and Community. ​Providing funds to produce a Training program for GFS and to implement the training. Supporting a cottage industry of chicken rearing amongst GFS members. ​Half to be used for funding World Council and the other half for partnerships between countries. Sierra Leone and other West African countries with GFS connections – Leadership training. ​Lesotho and Sri Lanka – to strengthen GFS. to establish GFS in Korea. ​to help training of leaders.